A source told Automotive News that R-class production will be around or slightly over 10,000 units annually. Mercedes-Benz plans to shift production of the R-class crossover from its Alabama plant to contract manufacturer AM General in Indiana this summer. The German automaker, in a statement released today by parent Daimler AG, said it needed to free up space in its assembly operations near Tuscaloosa, Ala.
“With the introduction of the new GLE Coupe and the ongoing strong demand for SUVs, Tuscaloosa needs all available production capacities for this segment,” Jason Hoff, CEO of Mercedes-Benz U.S. International, said in a statement. The R-class production capacity will be used for other Mercedes-Benz models, such as the GLE class and the GL class. “Within our growth strategy we are expanding our global production network and will additionally use the capacities of a contract manufacturer. We are thus increasing flexibility and continue to improve our competitiveness,” Markus Schaefer, member of the divisional board for Mercedes-Benz cars, manufacturing and supply chain management, said in the statement. Production tools will be shifted to AM General’s production site near South Bend, Ind. AM General is known as the producer of the HMMWV “Humvee” military vehicle. AM General announced the deal in a statement today. The R class is sold in the Chinese market only. Launched in early 2005, it was yanked from the U.S. market in 2012; it has been a China-only vehicle since 2013. In a statement, AM General said it has a multiyear agreement to become Mercedes-Benz's "first and only" contract manufacturing operator in the U.S. The company said it expects the R class to start rolling off its production lines this summer and "will hire and train hundreds of new workers in order to prepare for R-class production." “We look forward to a long term relationship with Mercedes and expanding our services to the U.S. and global auto industry," AM General CEO Charlie Hall said in the statement. 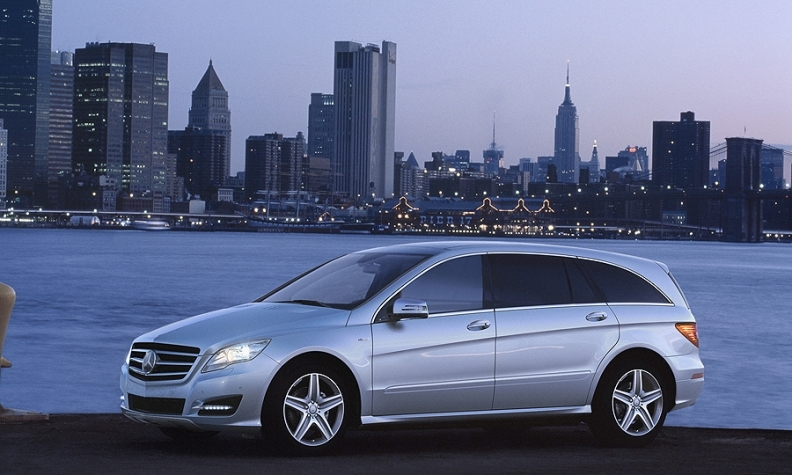 The seven-seat R class enjoys a loyal following in the Far East. A source told Automotive News that Mercedes production will be around or slightly over 10,000 units annually. Only the long-wheelbase version will be made. 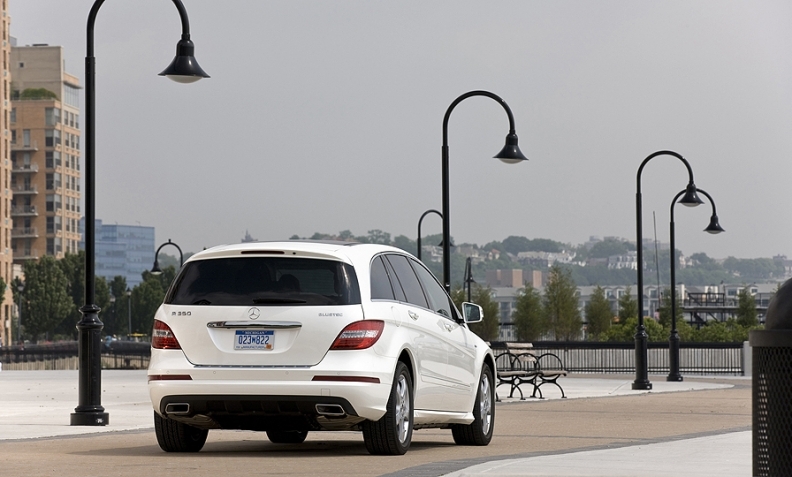 Daimler chose a U.S. production site over China because of the existing supplier network. Moreover, it is easier to move the tooling to another U.S. site, the source said. The production run is indefinite and demand is strong enough to justify several more years of production. In another development, the UAW released a statement today praising Mercedes for moving the work to a UAW-represented operation. The union for years has been trying to organize workers at the Alabama plant. “Mercedes-Benz's decision highlights the continued growth and expansion of the U.S. automotive industry and it is an affirmation of the skills and work ethic of our UAW Local 5 members," UAW Secretary-Treasurer Gary Casteel said in the statement. "We congratulate the company and employees on this positive new development." The UAW noted the Alabama plant "is the only Daimler plant in the world that does not currently offer employee representation." The union in October formed Local 112 to represent workers at the Mercedes plans. “Investing in the future with UAW Local 5 members in Indiana is a clear signal that Mercedes-Benz and Daimler value employee representation,” Casteel said in the statement, adding the union represents 7,000 Daimler workers in North America. "We encourage Mercedes-Benz to move forward in Alabama by recognizing UAW Local 112 so the company and employees there can benefit from the same collaborative partnerships that power high-quality production at Daimler sites across the United States."